we partner with small, family farms in Indiana and neighboring states raising animals as nature intended: no Gestation Pens, Antibiotic Free, 100% Vegetarian Feed, No Growth Promotants, and more. 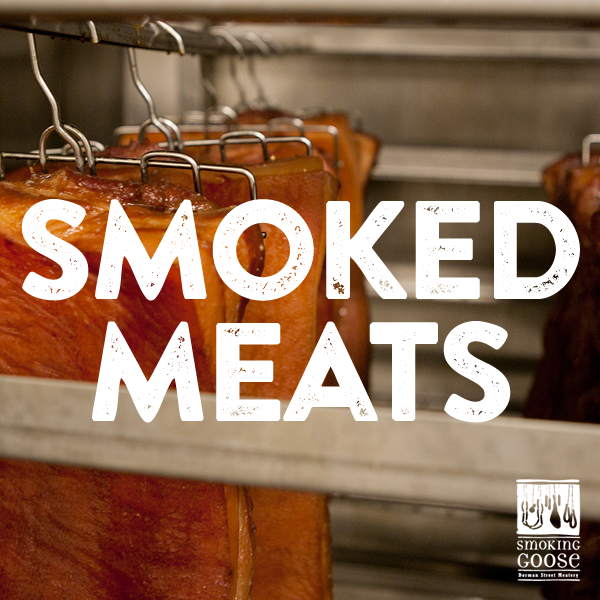 Our smoked meats, sausages, salumi, seasonal releases, and more are available first-come, first-served at WHOLESALE PRICING one day each month. Go nose-to-tail with Smoking Goose butchers including a behind-the-scenes tour, private tasting, your own butcher's hat, and lotsa meat treats to take home. Learn more and register for yourself or give registration as a gift. REGISTER IN OUR MEAT MINUTEMEN (AND WOMEN!) PROGRAM FOR THE OPPORTUNITY TO WORK ALONGSIDE THE SMOKING GOOSE STAFF FOR THE DAY AND GET PAID IN MEAT.